Scotts Miracle-Gro’s $500 million push into the marijuana industry has a new twist: The lawn-and-garden giant wants to corner the market on cannabis pesticides. Scotts CEO Jim Hagedorn told investors and analysts during his company’s fourth-quarter earnings call that his firm is talking with the U.S. Environmental Protection Agency about pesticide products that could be used on cannabis, according to reports out of the Columbus Dispatch and the Columbus Business Journal. When reached for comment on Friday, a spokeswoman for the EPA told The Cannabist that she did not have information available to immediately comment and would check into the matter. The EPA regulates the use of pesticides throughout the nation; however, as marijuana remains federally illegal, currently no products registered with the agency are labeled for use on cannabis and little guidance has been offered to legalized states. Colorado officials have wrangled with how to regulate pesticides in marijuana and cracked down on companies that use pesticides that are banned by the Colorado Department of Agriculture for cannabis. “We are continuing to work with both individual states and the EPA for special — for the first time ever — registrations that allow pesticidal products to be used on — and we’ll be the only one offering pesticidal products that can be used on cannabis. So I think that’s an opportunity for us. “If you look at what we’re really trying to create … it’s fertilizers and growing media, lighting, sort of hydroponic plastic systems, to some extent, precision irrigation, which is sort of an element or an offshoot of sort of hydroponics, but it’s drip systems for use. Scotts set aside $500 million to acquire sector-leaders across the hydroponics space to gain a foothold in the legal marijuana market, which Hagedorn has called the “biggest thing” ever in gardening. Scotts’ calculated moves to build a business on the ancillary side of the cannabis industry could set the stage for other large, traditional firms to enter the space, analysts have said. 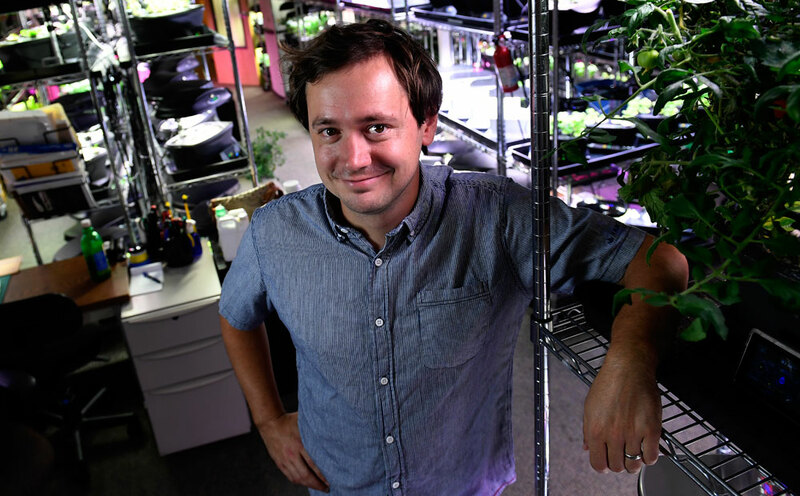 Scotts’ venture into legal cannabis is housed within its Hawthorne Gardening Co. subsidiary, led by Hagedorn’s son Chris. Sales in one of its business segments grew 70 percent in its most recent quarter, for example, to $87.2 million, mostly because of Hawthorne, which is run by Hagedorn’s son, Chris Hagedorn. Chris Hagedorn has an important meeting next week with what his father calls “his warlords” to plan out the subsidiary’s future, Jim Hagedorn said. “I’m really looking forward to hearing what comes out of it – because I think this is where very experienced hydro people are going to get together and say, ‘What do we need to do over the next two or three years to fully exploit these investments?’ ” Hagedorn said.